Habitat: Slightly acidic, stagnant waters of shallow debth. 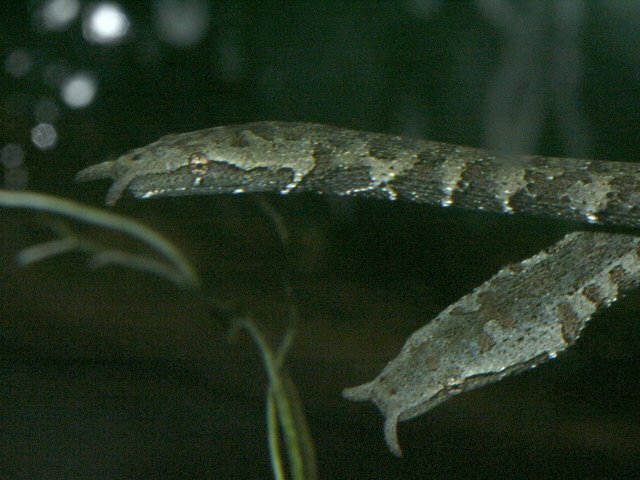 This snake is an ambush hunter and it assumes a certain pre-strike posture.They anchor themselves to a submerged branch with their tails and prey on small fish as they swim by. These snakes are totally aquatic and nearly helpless on land. 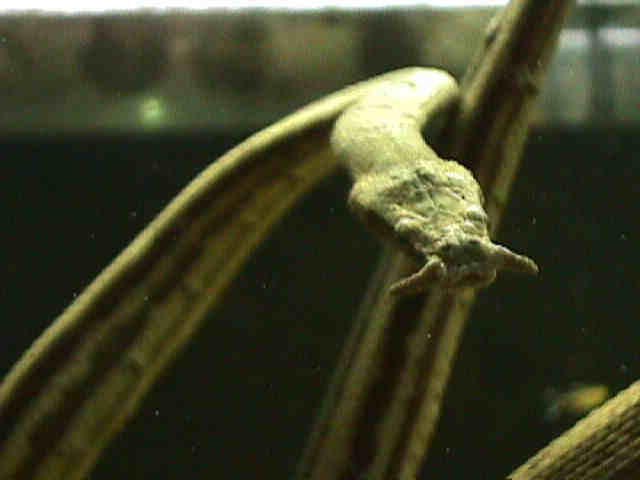 The tentacles are soft, and fall to the side when the snake is out of the water.They must surface to breathe. They are venomous.Fangs are small and located in the back of the mouth.